Between 3,000 and 4,000 people die in commercial vehicle accidents in America each year, says the Department of Transportation. One of the biggest factors in these deaths is driver fatigue, which is why a new set of rules were put in place, effective in July 2013. The law required 34-hour off-duty periods to allow drivers time to catch up on sleep once per week, as well as two breaks during the 1 a.m. to 5 a.m. shift. The maximum weekly driving time allowed was also lowered 15 percent to 70 hours. When California drivers of commercial vehicles cause collisions, it helps to have an experienced motor vehicle accident lawyer on your side. Filing a lawsuit is not necessarily about “punishing” the other driver so much as it is about covering your medical expenses, the damage to your vehicle, and holding people accountable for their actions so the same mistakes do not happen again. The Los Angeles car accident lawyers at Ellis Law offer free, no-obligation consultations to victims of accidents involving commercial vehicles. For two decades we have helped clients recover damages not only for medical bills, but also for past and future lost wages when injuries kept them out of work. In 2010, California was designated the “second most-dangerous state for driving,” with 2,715 fatal accidents. Commercial vehicle accidents accounted for 235 fatal crashes — or 9% of fatal highway crashes in California, according to the National Highway Safety Administration. Since California is home to numerous agricultural farms that service the country and so many factories, our highways are full of freight movement. The Los Angeles metro area is a particularly busy region for transport, shipping over $20 billion in manufactured goods each year. Statistics show that the heavily-trafficked 5 and 710 interstates are two of the more dangerous corridors to share with large commercial vehicles. For instance, a Department of Transportation freight study found that trucks were involved in more than 31 percent of the 2,250 accidents along the I-710 Freeway in 2000. Even though LA commercial vehicle accidents account for a relatively small percentage of total crashes in California, the risk for fatality is high when a 4,000 pound vehicle collides with an 80,000 pound big rig. The Insurance Institute for Highway Safety found that occupants of passenger vehicles accounted for 97 percent of all deaths involving large trucks. What constitutes as a “commercial” vehicle? Large commercial vehicles need up to 40 percent more distance required to stop, compared to a small passenger vehicle. Commercial trucks that speed or follow too closely can cause fatal rear-end crashes or vehicle roll-over accidents. Large trucks also possess substantial blind spots where they may be unable to see smaller motor vehicles. Truckers may inadvertently make an improper lane change and side-swipe a passenger vehicle. Due to the strict requirements placed on drivers of commercial vehicles, truckers are less likely to be driving while impaired, but fatigue is certainly a factor in many crashes. Sometimes the truck driver is to blame. 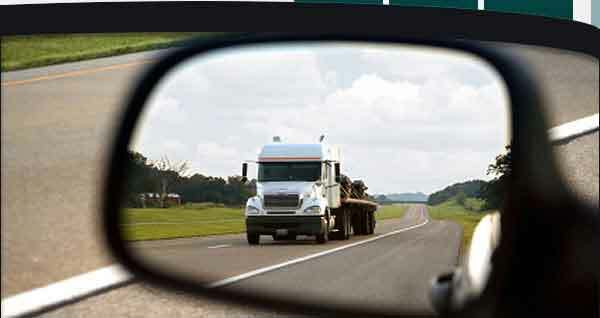 Other times, passenger vehicle drivers fail to drive defensively around trucks by leaving adequate space surrounding big rigs and making sure they are not traveling in a blind spot. The personal injury attorneys at Ellis Law have secured a large number of successful verdicts and settlements involving commercial vehicle accidents in Los Angeles. $100,000 settlement: A truck backed into a woman who was attempting to leave her work parking lot, pushing her car several feet and causing a right shoulder injury that required surgery. $119,000 settlement: A bus ran a red light and struck the plaintiff who was waiting in the intersection to make a turn, causing wrist strain and eye injuries. $320,000 settlement: A bus attempted to turn right, but failed to yield for a pedestrian on an electric scooter, throwing him 15 feet, causing elbow, back and neck injuries and over $89,000 in medical bills. $750,000 settlement: The driver of a company truck failed to slow down for construction and, as a result, plowed into the plaintiff’s vehicle, causing spinal injuries and $270,000 in hospital expenses. $1.4 million settlement: While stopped at a red light, a big rig hit a motor vehicle and pushed it into the plaintiff’s car, causing neck and lower back injuries that resulted in surgery and $189,134 in medical bills. The attorneys at Ellis Law have obtained more than $100 million in personal injury verdicts and settlements over the past 20 years. 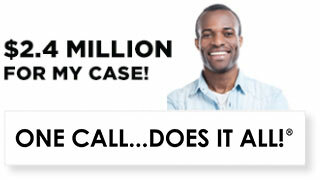 Our lawyers are members of the prestigious American Board of Trial Advocates. 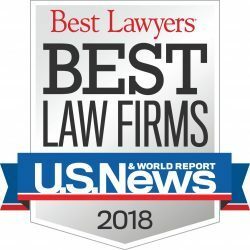 We specialize in Los Angeles car accident lawsuits, including cases involving commercial vehicle collisions, motorcycle crashes and pedestrian injuries. 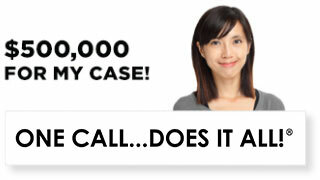 Call 310-641-3335 to discuss your case. 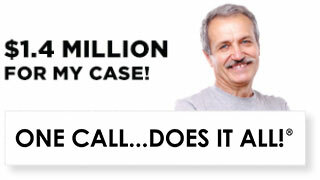 All consultations are free, and we charge no fees unless we win your case.